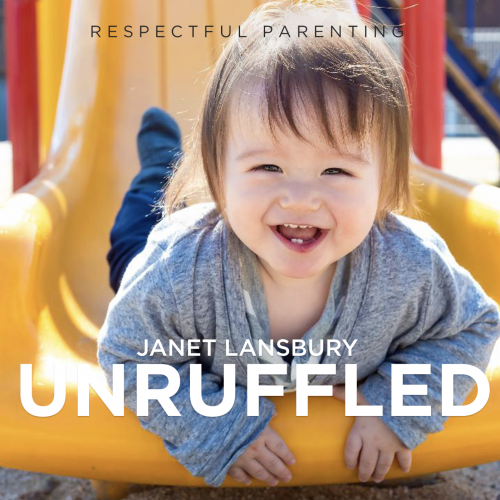 In this episode: Janet responds to a question from her Facebook page from the mother of a 20-month-old who’s started to show his dissatisfaction with various situations by screaming, crying, and in some cases hitting. This mom says she typically handles it “by talking through his frustration with him,” and she’s wondering if there’s more she could be doing to support him. 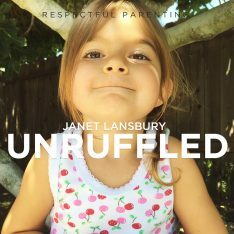 Hi, this is Janet Lansbury and welcome to Unruffled. This week I’m responding to a question from a mom whose 20- month- old seems to have developed a bit of short fuse. When he doesn’t get his way, he yells,”No!” and starts crying, and she’s wondering if there’s a respectful way to support him through these episodes. “Hello, I’m hoping for some ideas on how to work through this situation. My son is 20 months and has recently started to show his dissatisfaction with things by yelling, sometimes screaming no and crying. He does this whenever something happens that he didn’t want to happen. If the dog comes too close, if a bucket of water spills when he tips it over, if the door closes when he doesn’t want it to, et cetera. I feel that the behavior is quite age appropriate and typically handle it by talking through his frustration with him and allowing him to feel the emotion which is great at home when it’s just us. This is interesting. This little boy, as this mother understands (which is wonderful), he is starting to feel his power and explore where he has power in his world. It sounds like he’s got a good healthy will. When something doesn’t go his way, he’s saying he’s noticing. He has a little thought about that and a feeling about that. I think this is very, very healthy, very normal and should be approached that way, which it sounds like this mother is doing. I’m wondering, though, if even talking him through it… Talking through his frustration with him and allowing him to feel the emotion, that sounds really, really good. I wouldn’t talk too much about it though. I wouldn’t make each one of these little momentary reactions to things… I wouldn’t make a lot out of this at all. So, I would be just a little bit careful. It’s hard for me to know just from reading this note. I mean, I’m always guessing at these. Hopefully these are educated guesses, but I’m a little bit guessing what she means by talking him through his frustration. But I wouldn’t talk him through as if each one of these is a big deal, because what that does is it makes more out of it than it is. When our little child is yelling and then maybe even crying and seems frustrated, it’s easy to see that as, oh, there’s a big problem here and he’s so upset about this! 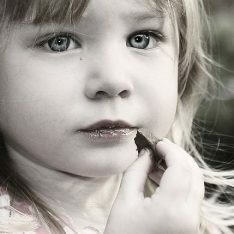 Instead of realizing that children at this age don’t have a lot of language yet. I mean, they do have a lot of language but they aren’t verbalizing a lot yet. I know that it’s hard, because I see this with children all the time in my classes and with parents and children.. that it is hard. They do seem to react so strongly that we worry. Oh, my gosh. Maybe he’s frightened or he’s really frustrated about this, really upset. What can happen is that we very subtlety take it to another level, which then gives them the feedback that this is a big deal. “Every time you are a little annoyed that your dog can do what he wants and get too close to you or surprise you in that way… this is a little bit of a problem.” instead of, “Wow, the dog came close and you didn’t like that,” and then seeing what he did about it. That is the most that I would say in these situations. This is a theme that this parent is so correct that children have at this age. As she knows, it’s very healthy, and I guess I’m only responding to where she says, “Talk through his frustration,” because it just sounds a little bit more active on her part than I would recommend. It sounds like she’s feeling like she has to talk him through something instead of just accept and acknowledge something, notice something. This is very passive on our part. And it’s better if we don’t put effort into talking him through something because, again, what that does is it gives him the feedback that this is a problem situation for him when he feels this, that this is a bigger deal than it is. And that creates a sense that this is a bigger deal for him. 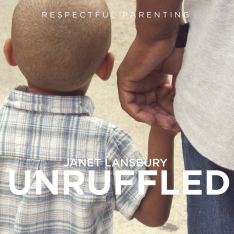 Just a little bit of fine tuning of our approach with our child at home in the way that we interact is the best way to make a difference for our child in the outside world, outside of our home. Just this very subtle shift in the parent’s perception of his feelings here, which may be frustration, but it’s just a little momentary bit of frustration. I think it’s wonderful that this parent is not doing the very common thing, which is to say, “Oh, it’s just a dog. He just moved close to you. Oh, the water just tipped over because you knocked it.” Invalidating those feelings. It’s great that she’s validating the feelings. But I think she may be just focusing on them a little too much without meaning to. He’s sharing his strong opinions. So to help interpret that for the other children and for him…. Just interpret, just acknowledge from a place of seeing it as a momentary response that’s very strong, very assertive. Not a problem. Then maybe he’s upset and you say, “Whoa, sounds like something didn’t go your way. What’s going on?” But again not perceiving it as a big problem or an issue that everybody needs a lot of help with. I think that, again, your response to him will help normalize this for you and for him. Then it won’t be such a thing for him. He’ll pass through this phase where everything he doesn’t control is a big deal for a moment.